What happens when two of our favourite brands collide? A dope collaboration of course. 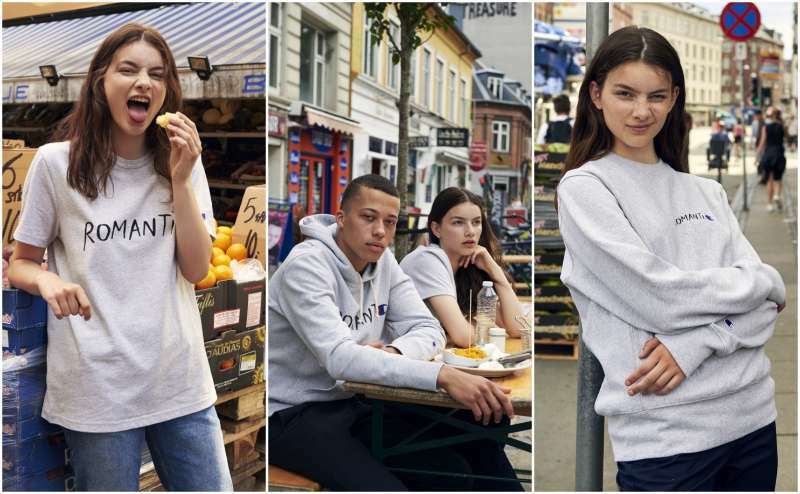 Thats right, Wood Wood x Champion are back again with another capsule collection. Read more Men's Style Guide features. Continuing a rather successful partnership, Champion and Wood Wood have again collaborated to bring us a small collection of co-branded luxury athlesiure attire. Given that both of the brands have seen massive traction this year, I would not be surprised if this collection sells out come the drop. Featuring branded tee's, jumpers and jackets in a monochrome palette these will be set to become autumn winter staples in your wardrobe. Stripped down is the sportswear motto of summer sixteen, and this luxe collaboration has all the minimal aesthetics you need. The Champion geared collection, consisting of T-shirts, a sweatshirt, hoodie and coach jacket, is given a Wood Wood update with delicate embroidery adorning the logo. The classic Wood Wood romantiC lettering uses the Champion 'C' to anchor the collab. The Copenhagen based Wood Wood and American sportswear giant Champion both have got quite the cult following, and like the rest of the collections, this unisex one is set to be a sell out. Cementing their partnership, the brands are back with their 2nd collaboration. First, we were blessed with the 7-piece collection in January for Urban Outfitters and now this minimal sports luxe collab. This one hasn't even dropped and I'm patiently anticipating the next.. The capsule will pre-launch in Berlin Wednesday June 29th and at all other Wood Wood stores shortly hereafter. A global release will follow at selected retailers July 13th.